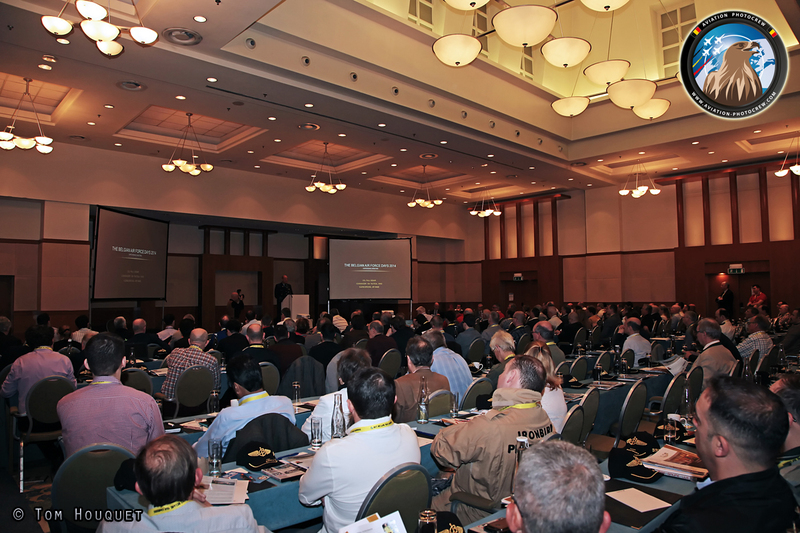 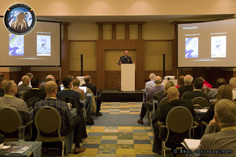 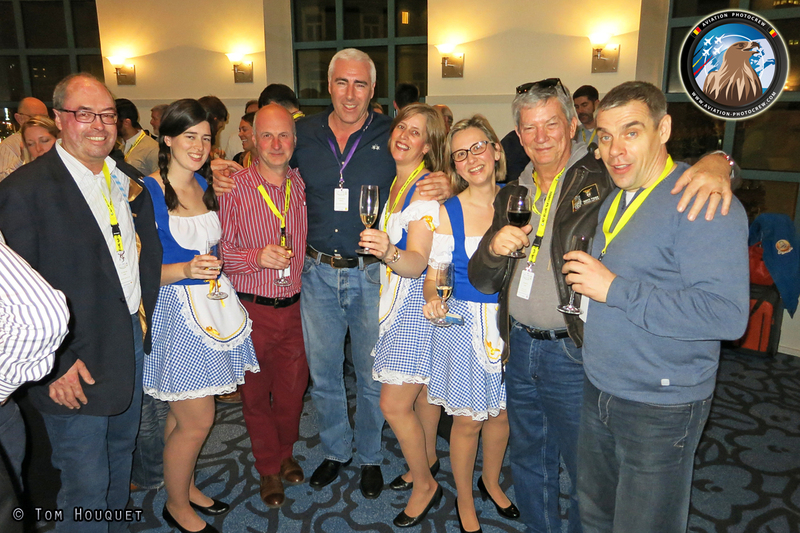 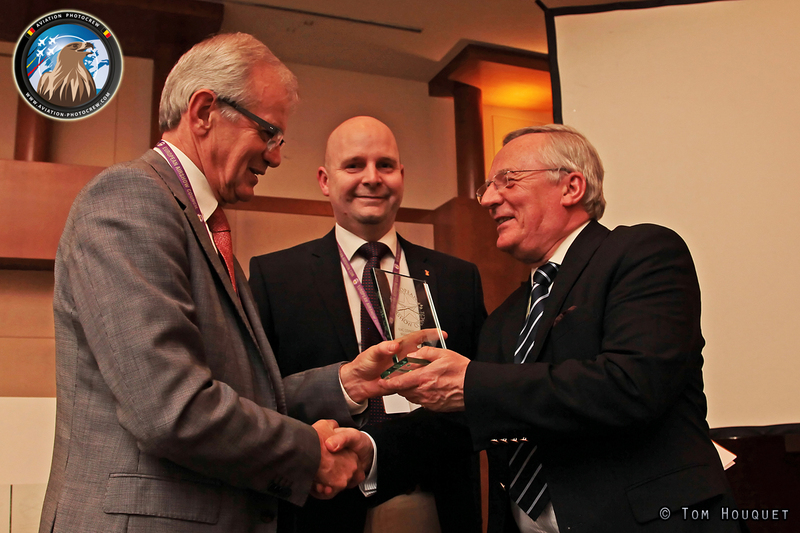 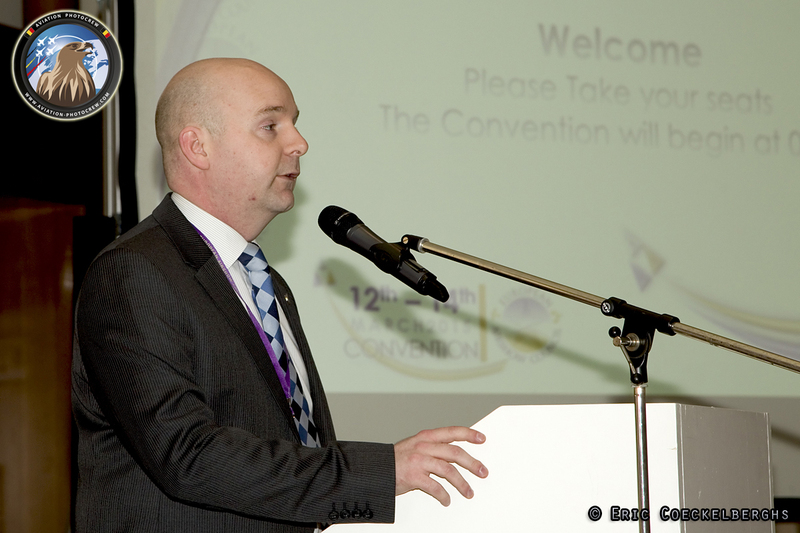 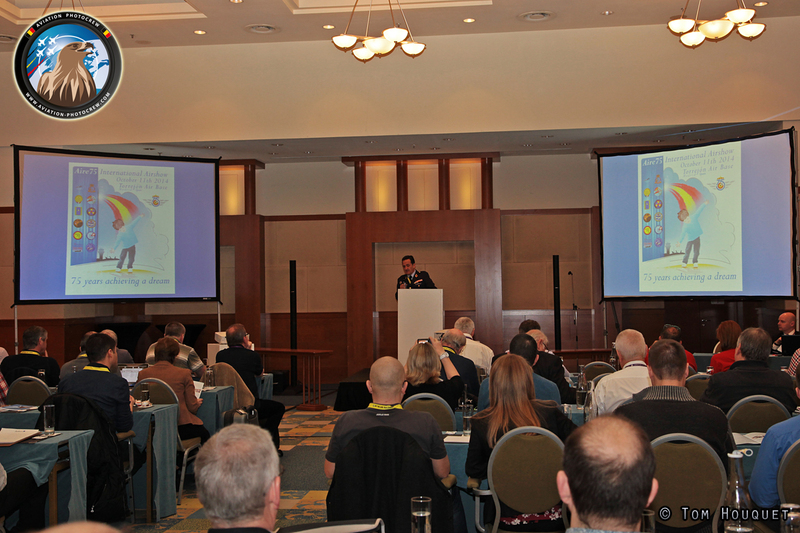 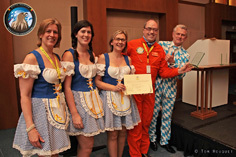 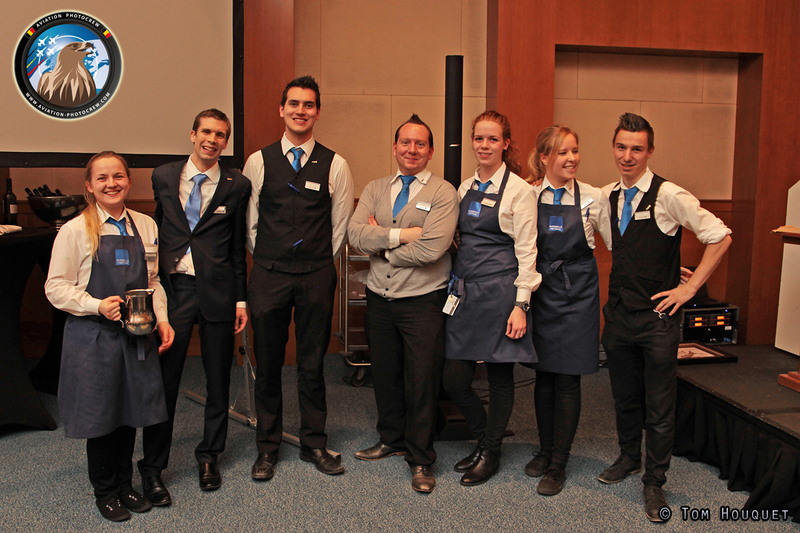 The 2015 edition of the EAC Convention took place at the Radisson Blu Astrid hotel in Antwerp, Belgium from March 12-14. 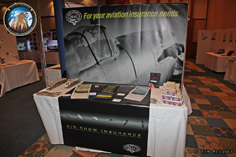 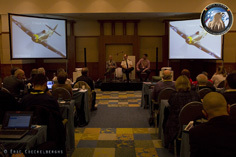 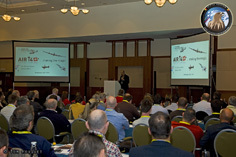 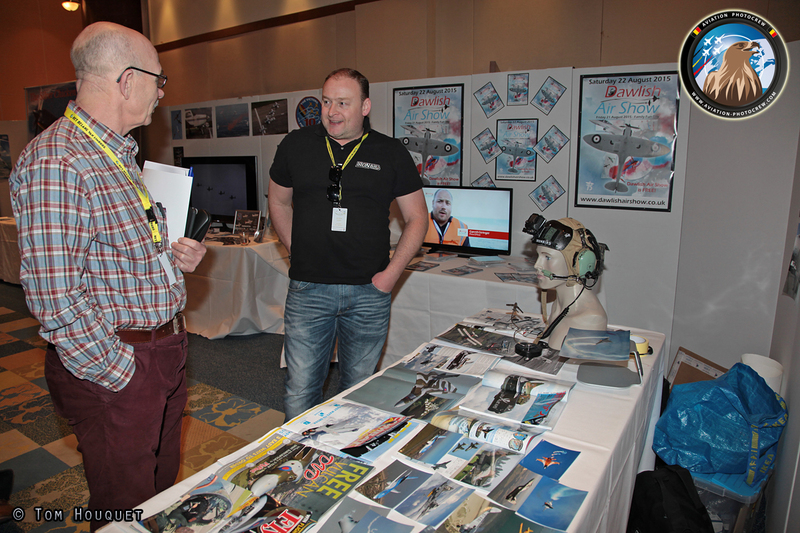 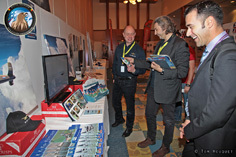 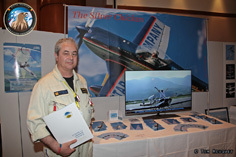 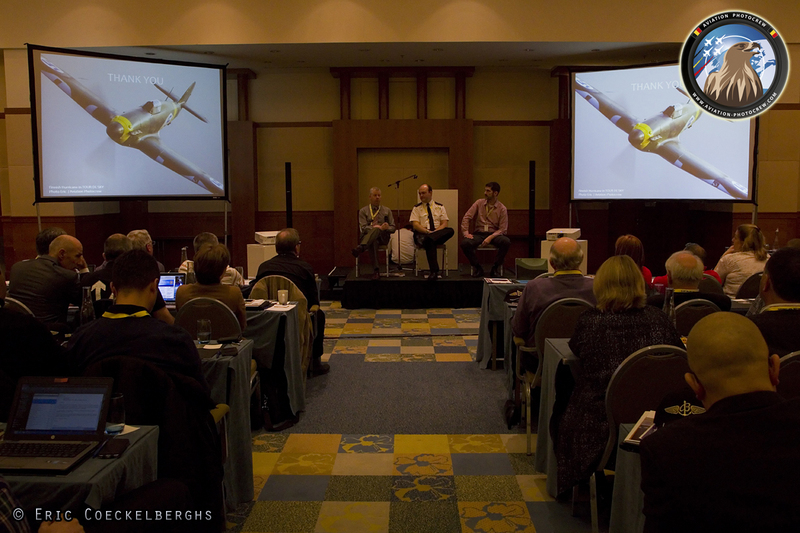 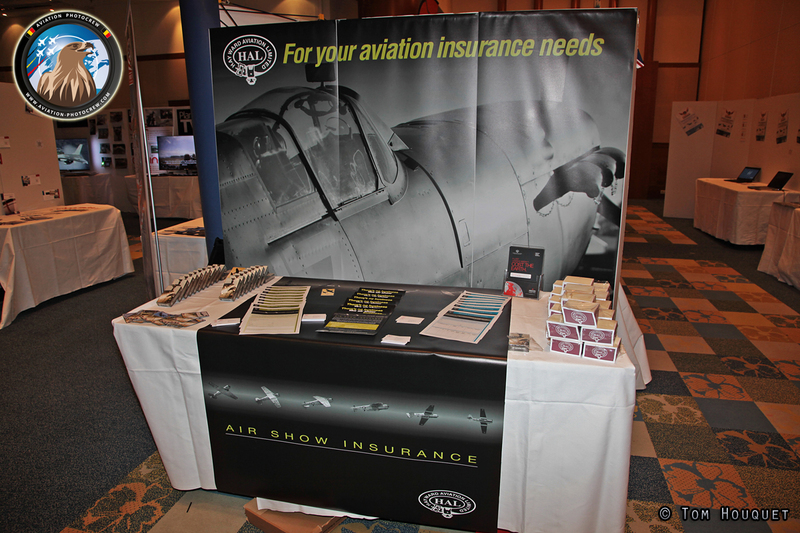 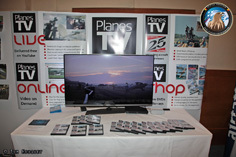 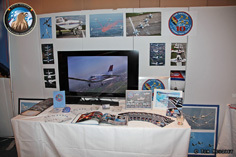 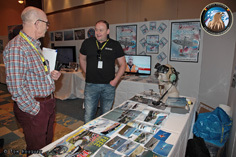 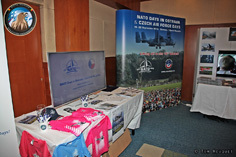 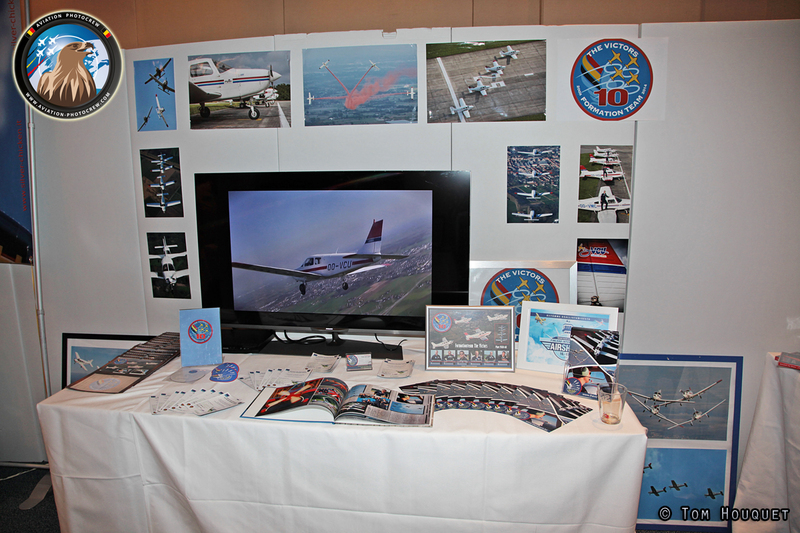 The first day was opened with two separate seminars for Display Directors and Fast Jet Display pilots. 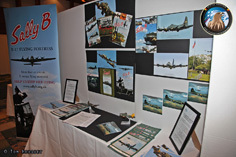 In the evening all the other guests arrived, set up their display stands and were welcomed at the opening reception in the evening. On Friday morning, the main convention was opened by the EAC Chairman and the EAC Board Members. 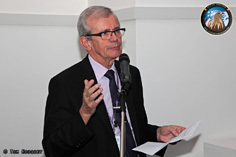 After a welcome speech by EAC Executive Charles Skiera, the attending delegates were introduced. 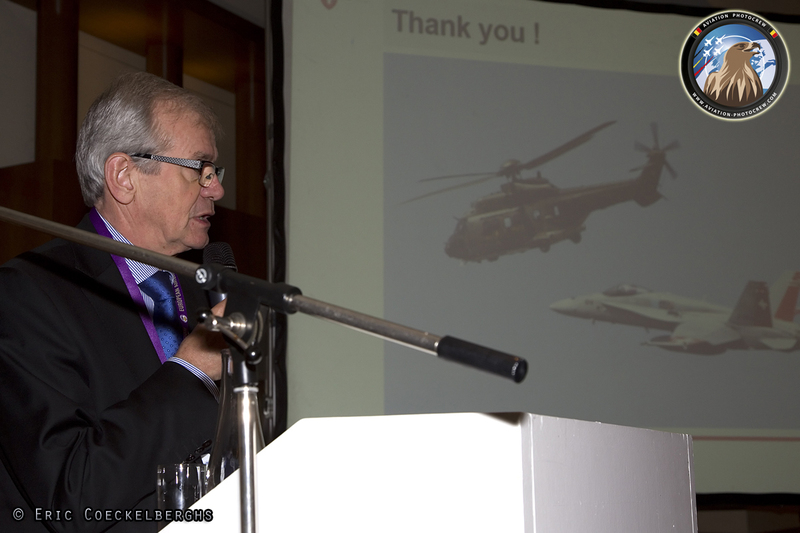 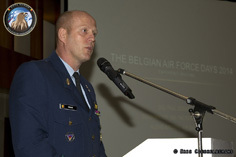 The first presentation of the day was by Colonel Paul Desair, which talked about the Belgian Air Force Days 2014 which were organized at the Kleine-Brogel Air Base in Belgium. 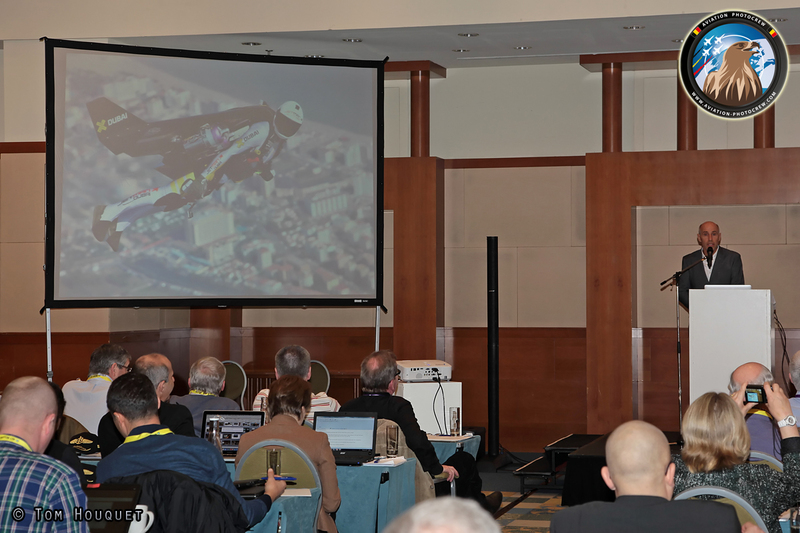 Afterwards a very interesting presentation was given by Yves Rossy, better known as “Jetman”, about his great experiences and achievements trying to fly like a bird. 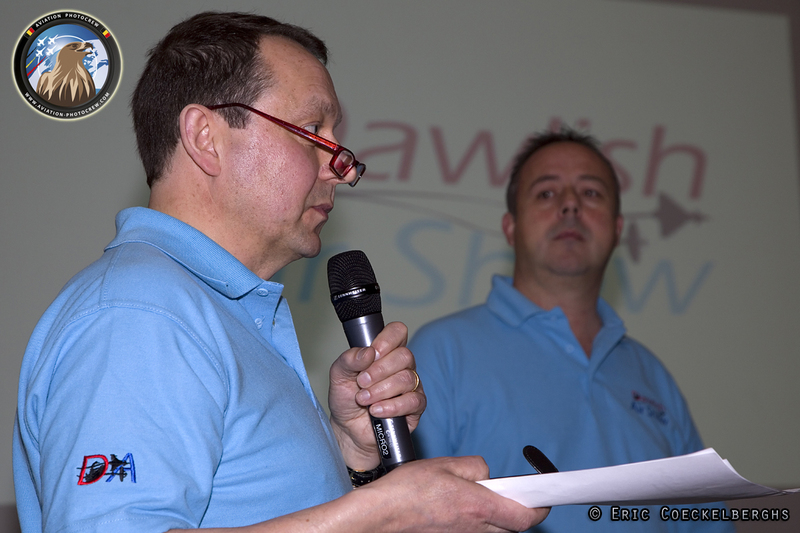 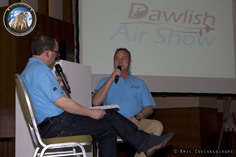 After a quick coffee break, Kev Wills and Chris Slade of the Dawlish Airshow, presented their experience on organizing an Airshow on a limited budget. 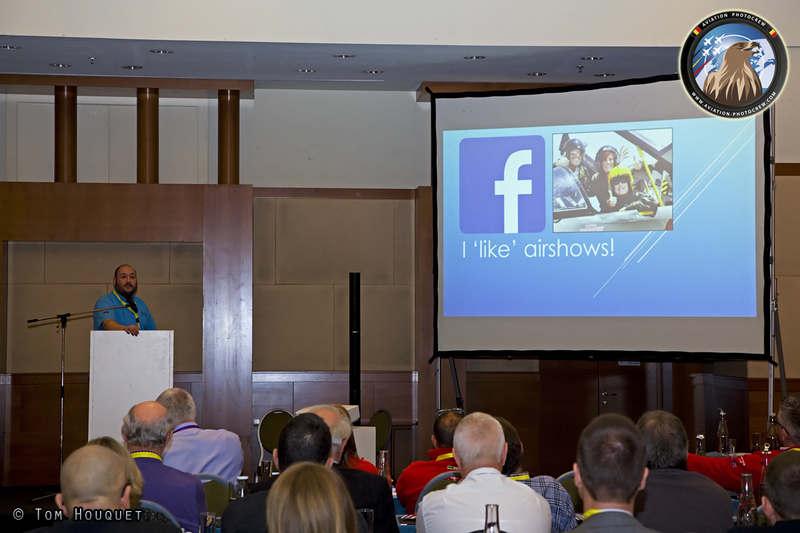 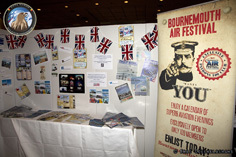 Social media is a great way to promote your Airshow or display act, Gareth Stringer talked about the do’s and don’ts of these platforms. 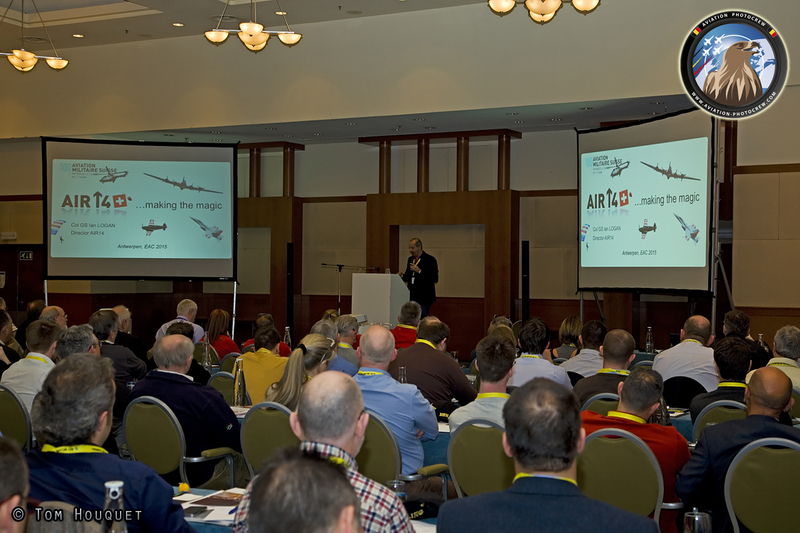 Just before lunch, Manolis Karahalios gave a briefing about the Fast Jet Pilot Seminar of the day before. 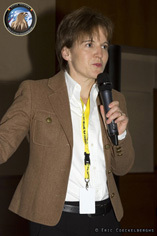 After lunch, Susanne Schödel of the FAI, talked about the FAI World Air Games which will take place in Dubai, December 2015. Colonel Ian Logan presented his experience on organizing the AIR 14 Airshow in Switzerland, celebrating the 100th Anniversary of the Swiss Air Force. 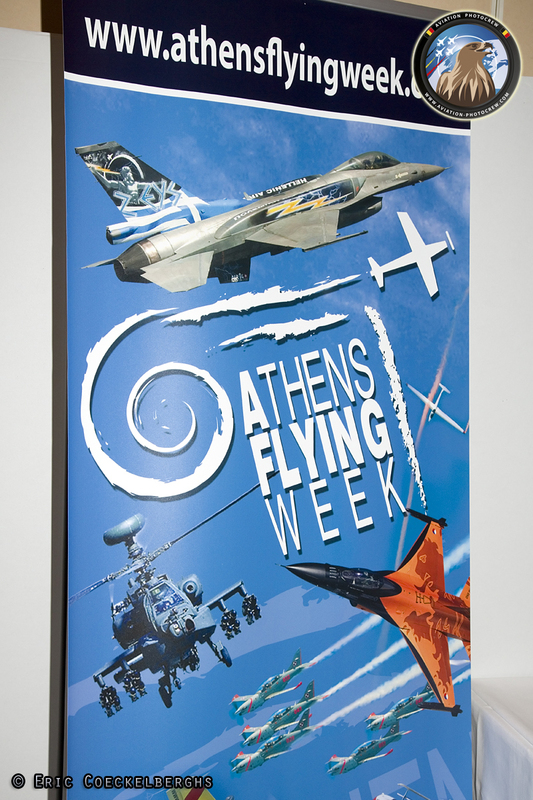 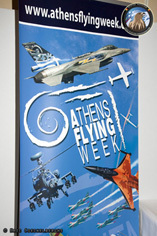 In a changing world, Policing and Security is an ever growing importance for Airshow organizers. 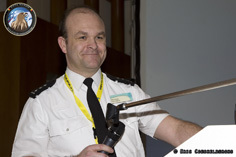 Chief Inspector Phil Vickers of the Lincolnshire Police exchanged his experiences in a Police Perspective on the organization of the Waddington Airshow. Afterwards, Stephan Thompson of the East Midlands Special Operations Unit Special Branch, talked about dealing with counter terrorism related activities at large public events. 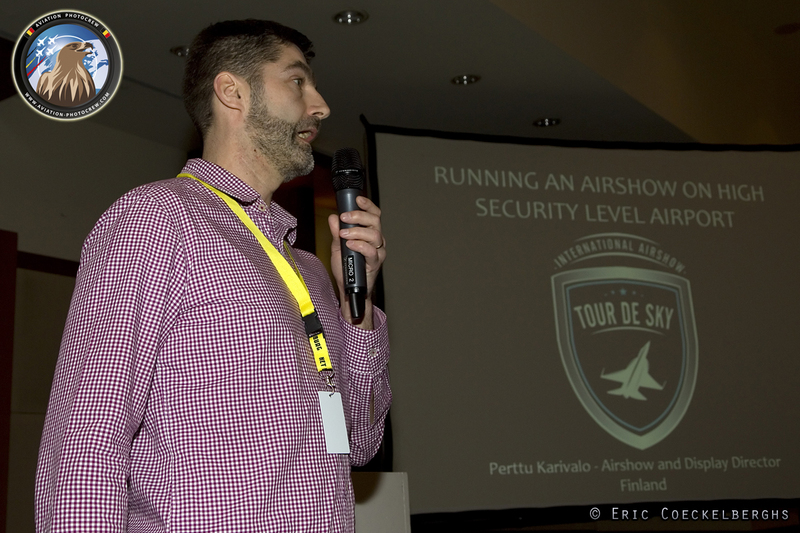 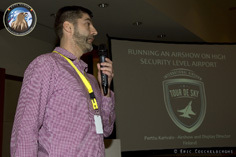 To close the Friday seminar, Perttu Karivalo, Display Director in Finland, talked about his experience of organizing an Airshow at a high security airport. 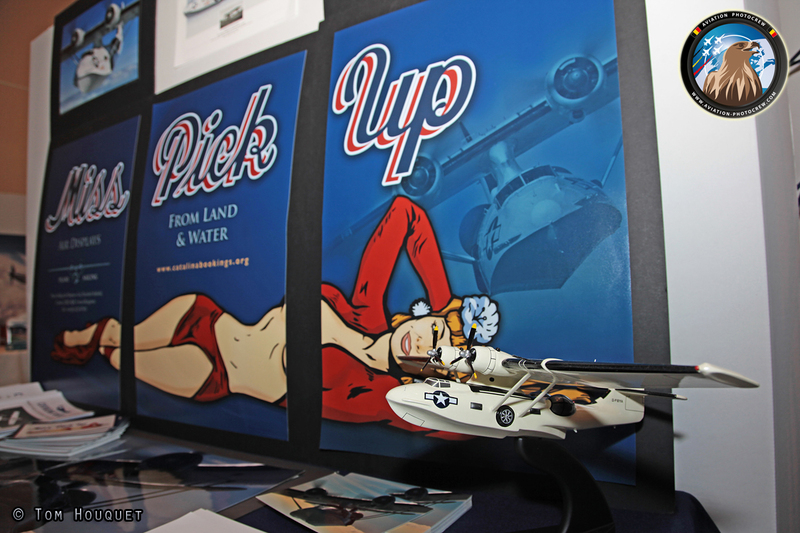 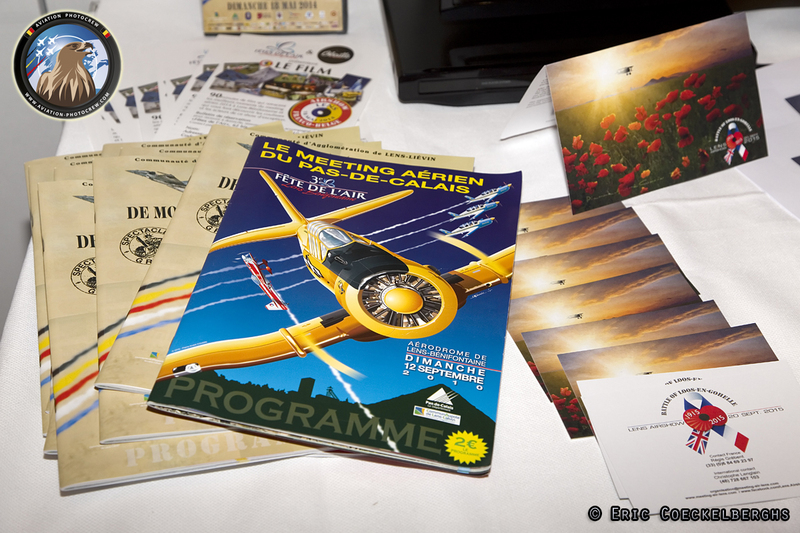 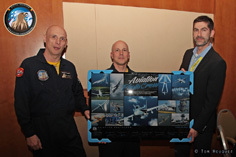 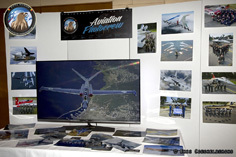 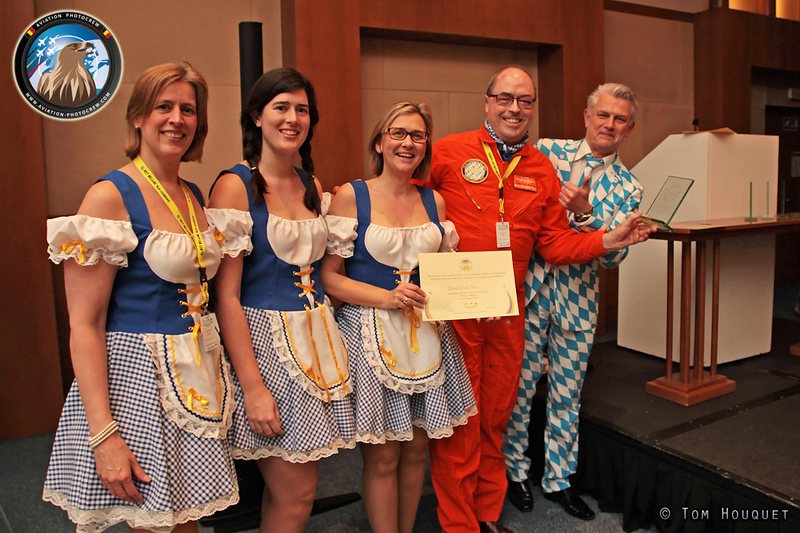 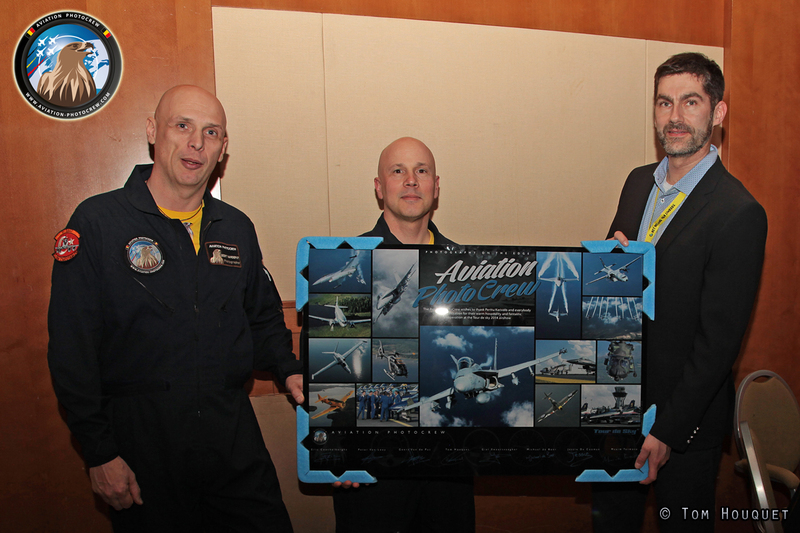 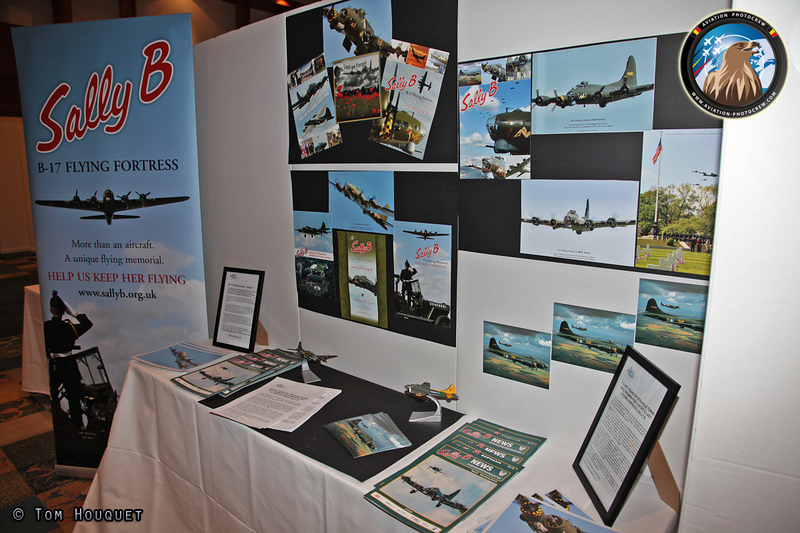 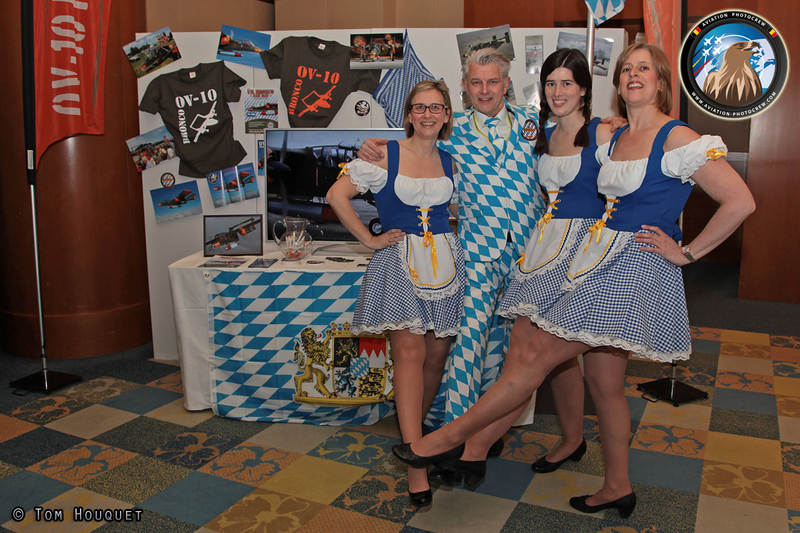 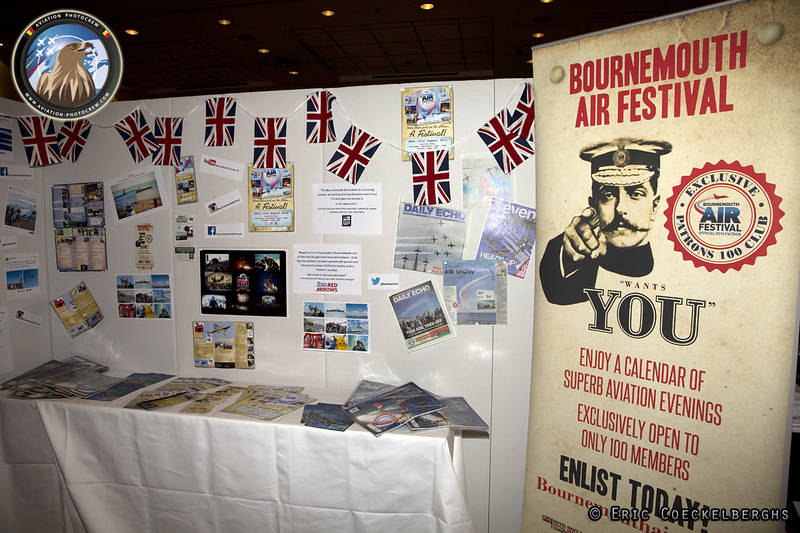 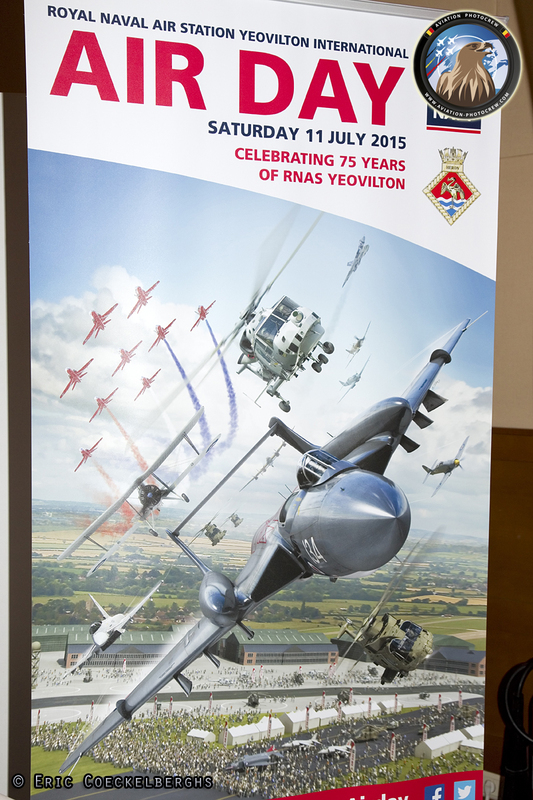 On Friday evening, the 2015 Hayward Aviation Airshow Dinner took place in the main hall. 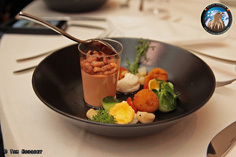 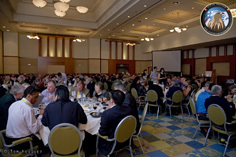 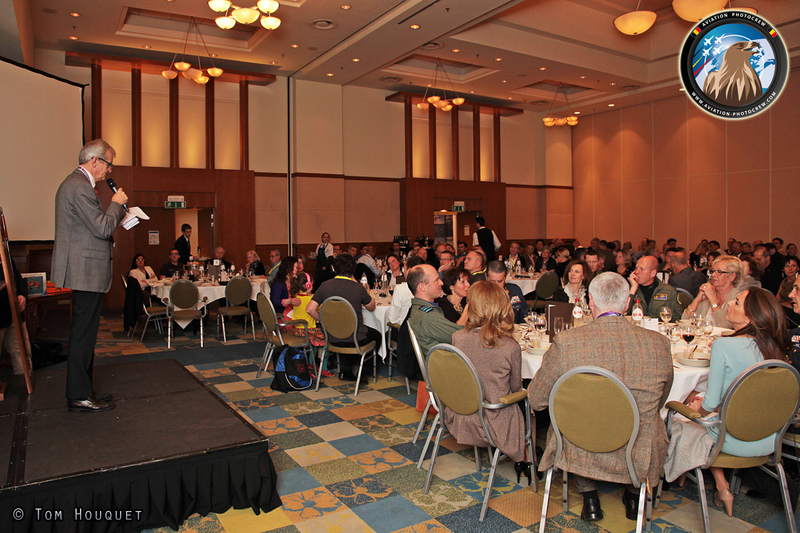 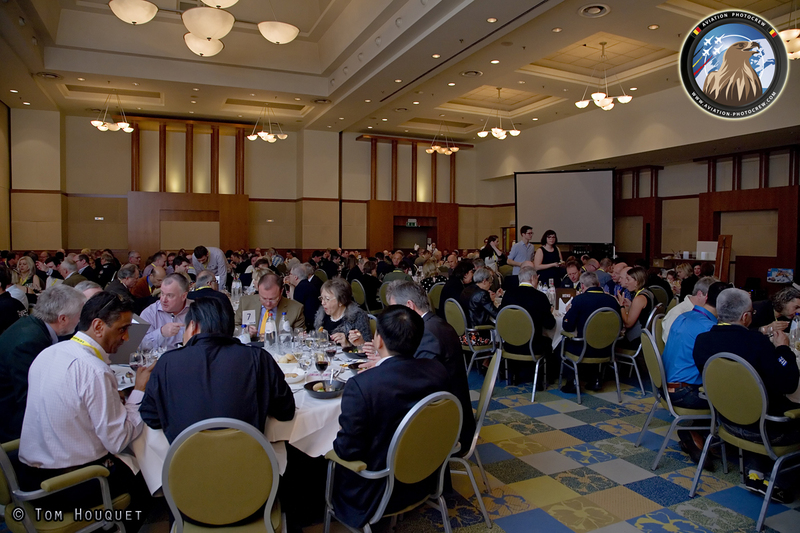 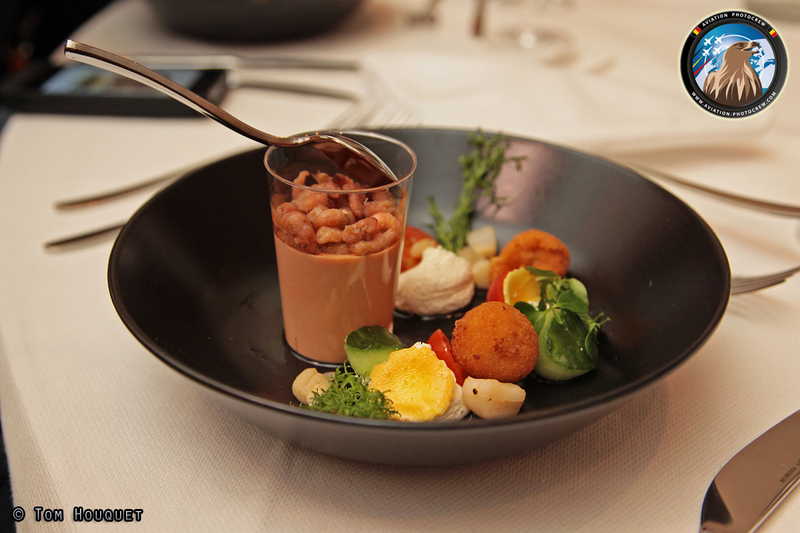 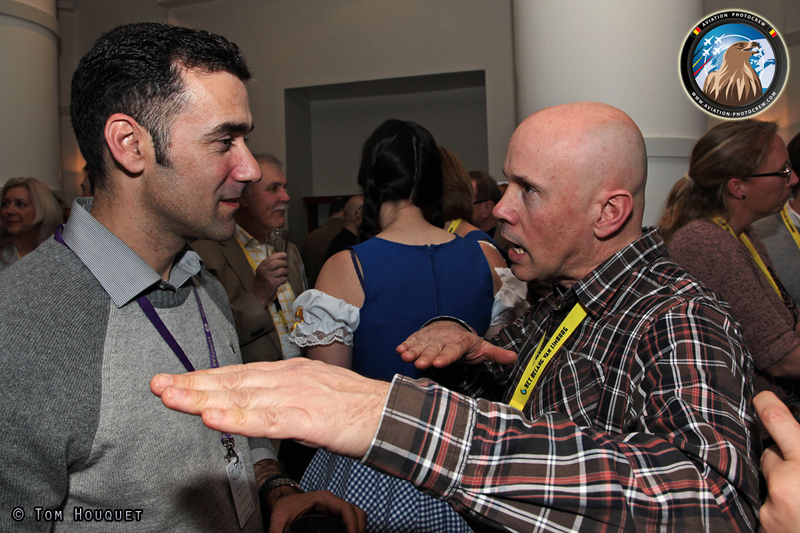 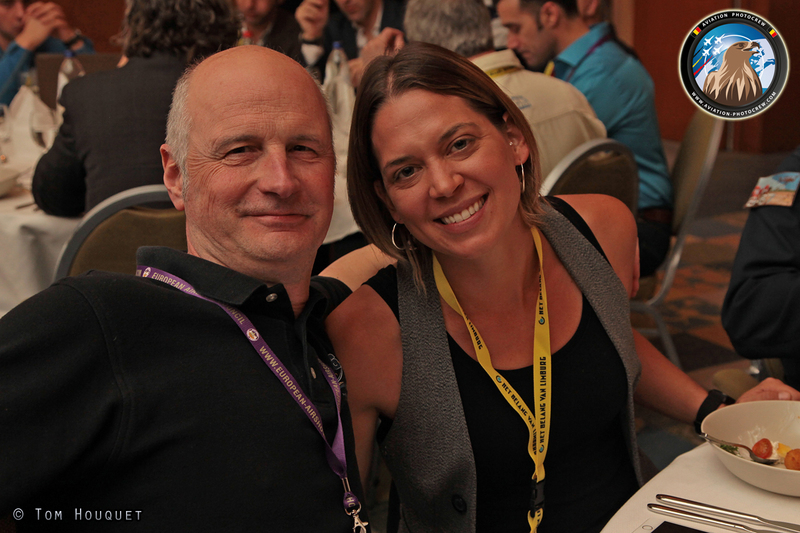 The delegates could again enjoy a fantastic meal while networking with other prominent guests. 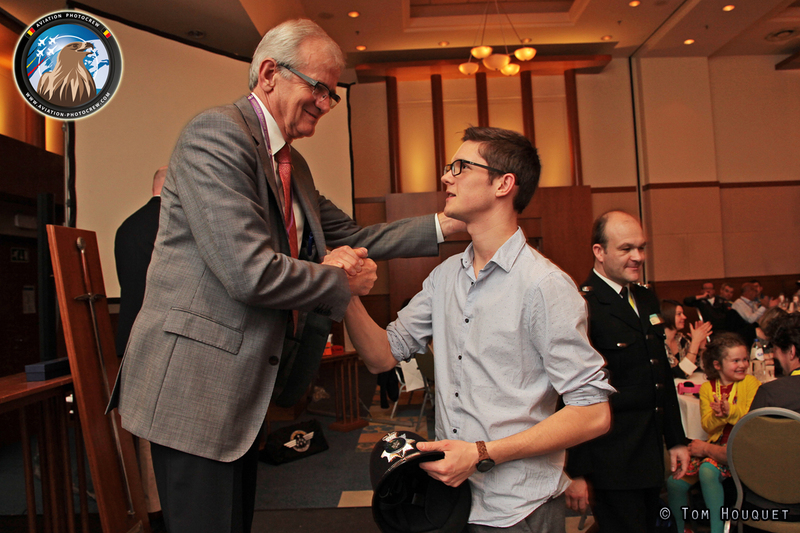 After the starter, the EAC awards were handed out to the people who excelled in promoting Aviation. 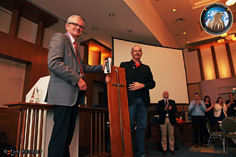 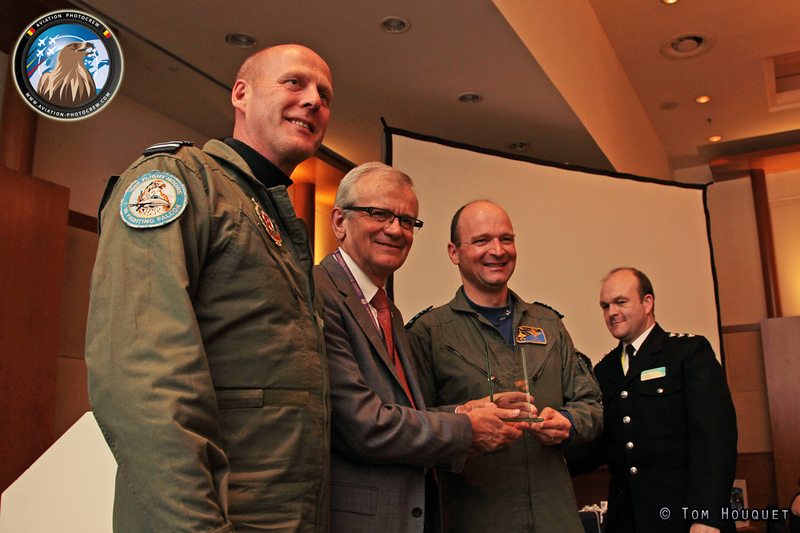 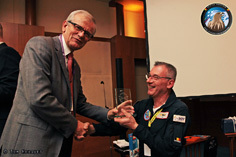 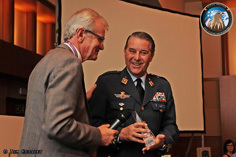 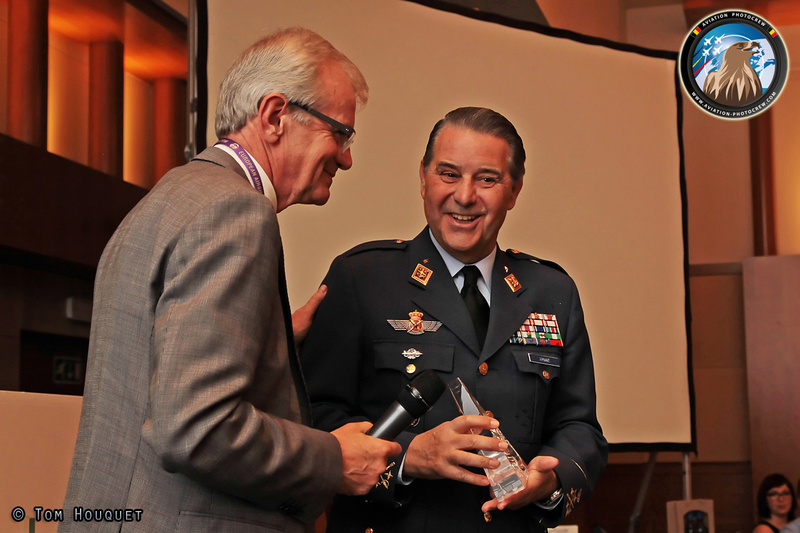 The Paul Bowen Trophy was awarded to General Arnaiz for the organization of the Aire 75 Airshow in Spain. 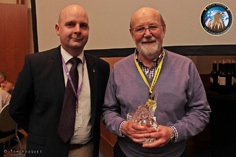 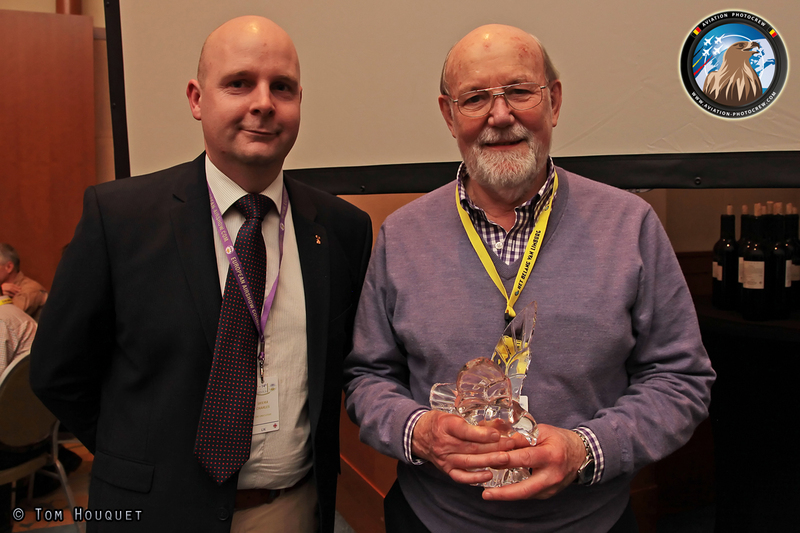 The Chairman's Award went to Sean Maffet for his lifelong support of being the voice of many Airshows, and in particular of the Vulcan. 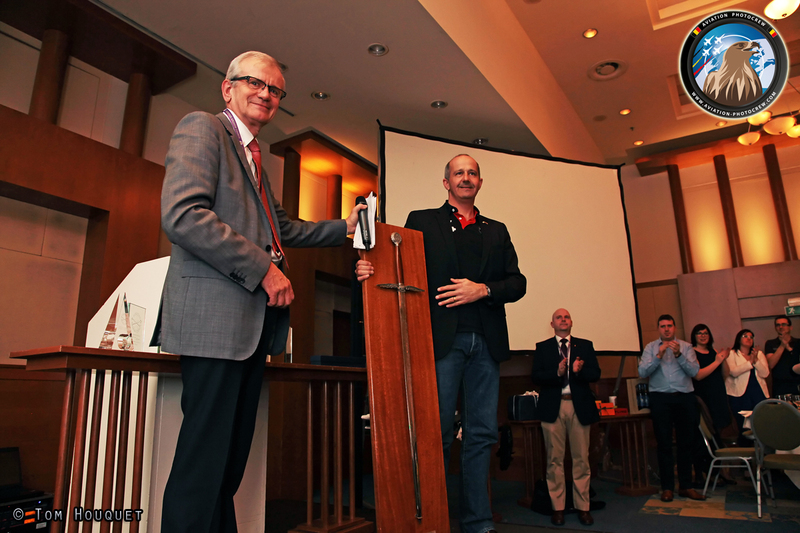 The Jock Maitland Sword went to Colonel Ian Logan, organizer of the Air 14 Airshow in Payerne, Switzerland. 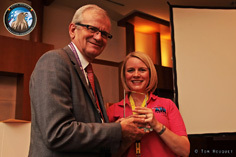 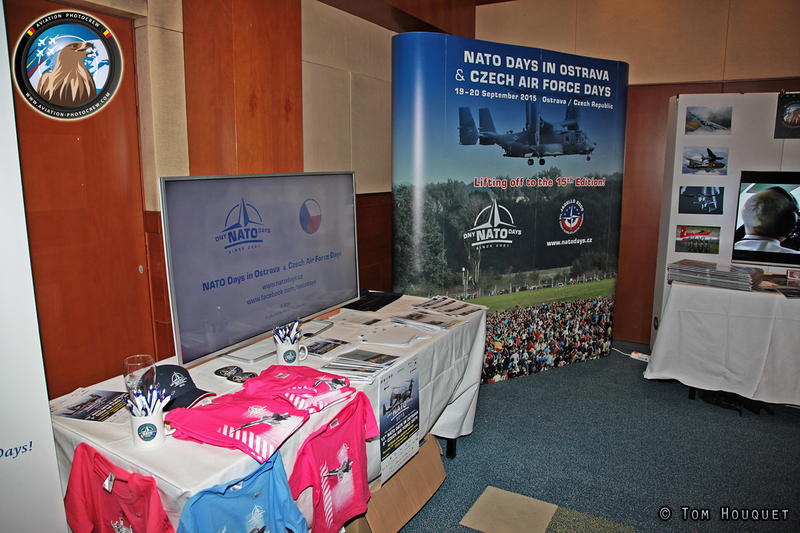 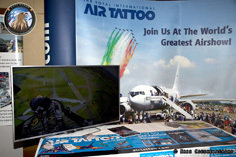 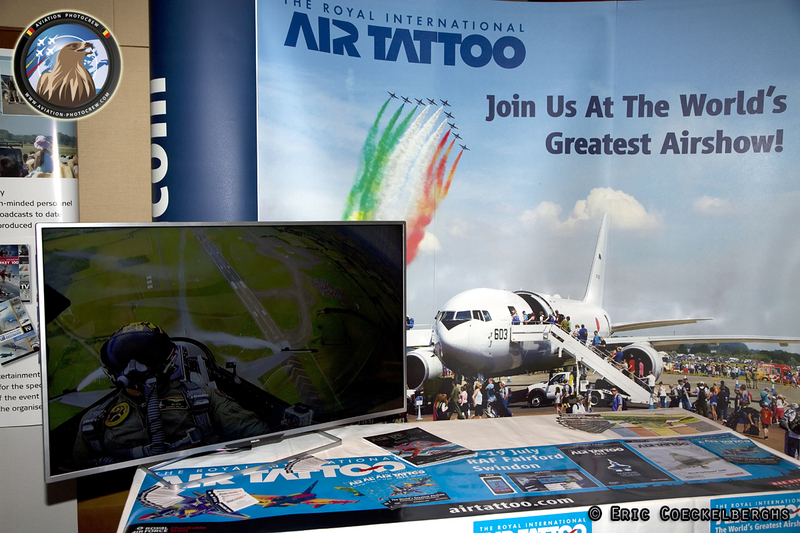 The EAC Awards for best promotion for Airshow Organizers went to the Ostrava Nato Days (Czech Republic), Dawlish Airshow (UK) and RIAT (UK). 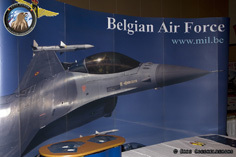 The award for Airshow performers went to Bronco Demo Team (Belgium), The Silver Chicken (Italy) and The Victors Formation Team (Belgium). 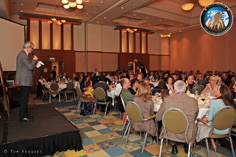 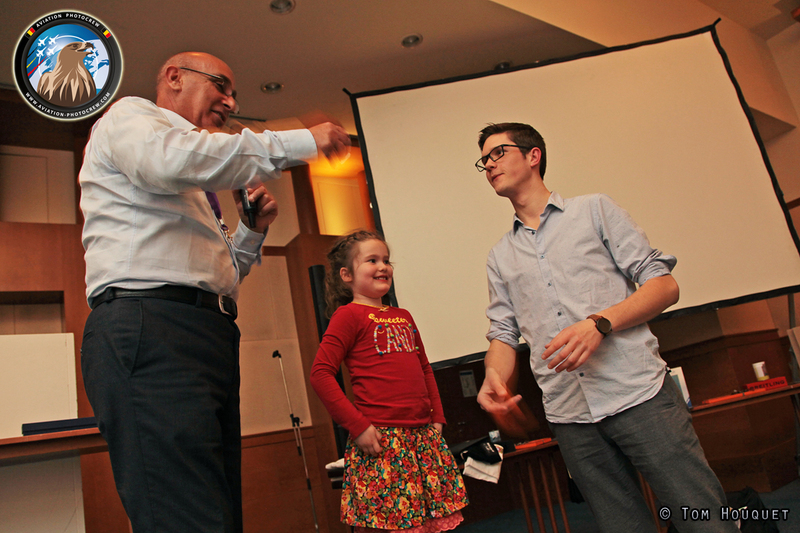 After the diner the drawing of the EAC raffle took place, and many attendance went home with a great price. 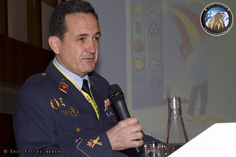 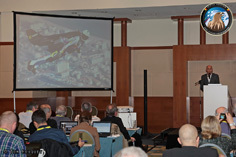 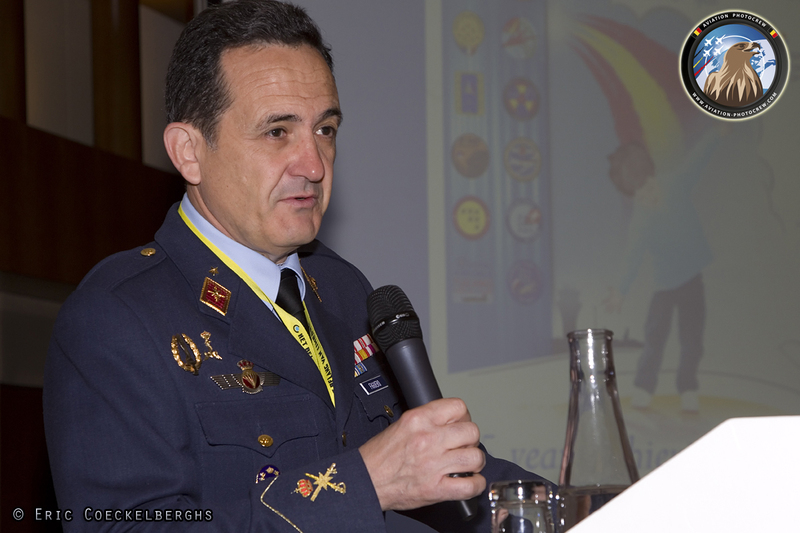 The Saturday morning seminar was opened by General Arnaiz of the Spanish Air Force, talking about the Aire 75 Airshow which took place last year at Torrejon AB. 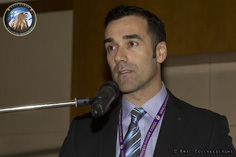 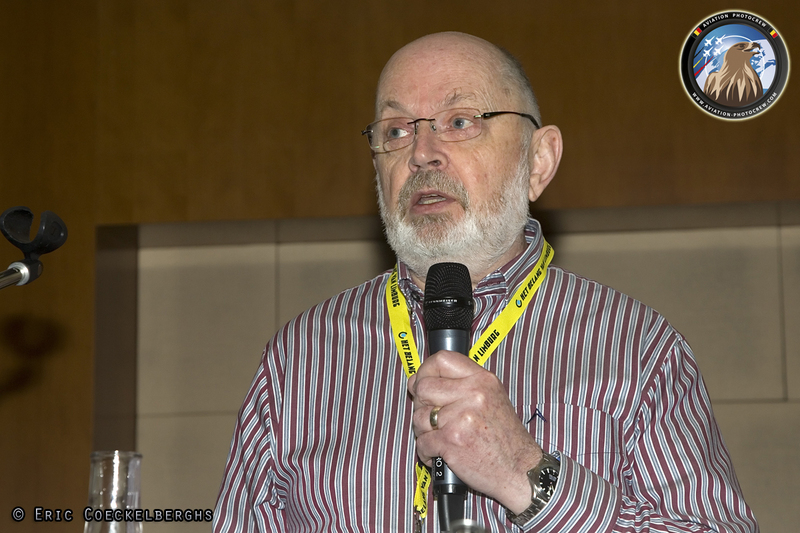 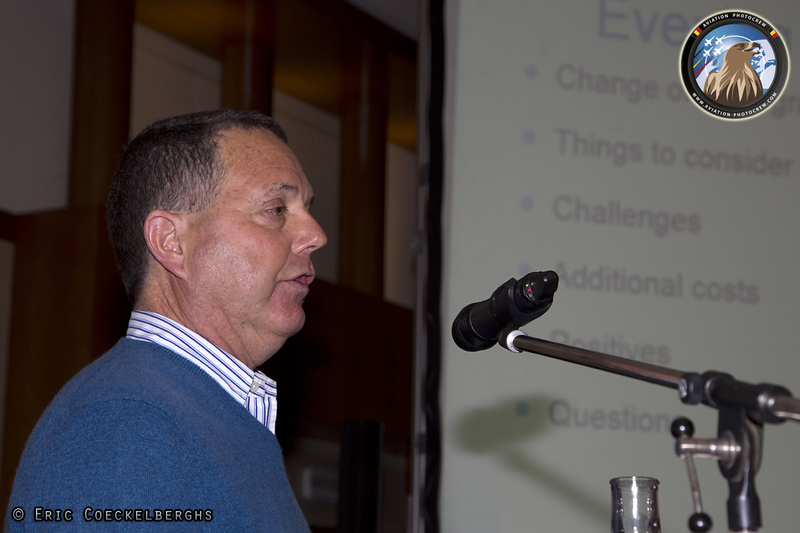 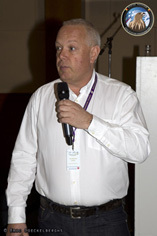 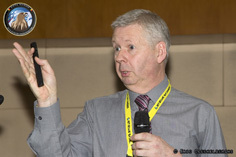 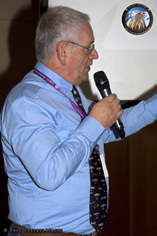 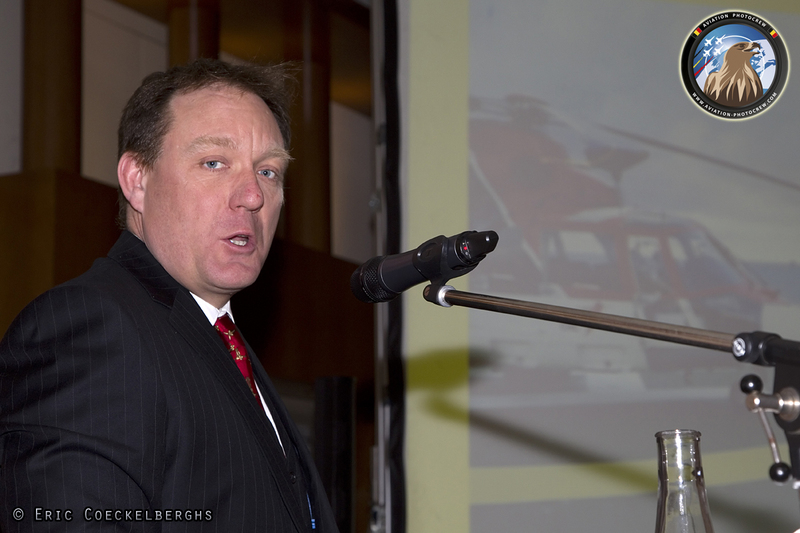 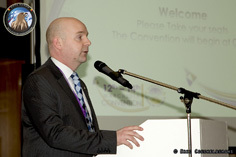 EAC Boardmember, James Black, talked about the updates on the EASA regulations. 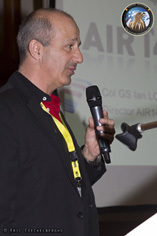 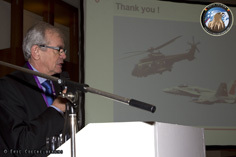 Paul Smith, Helicopter Pilot for the Lincolnshire and Nottinghamshire Air Ambulance, talked about the innocuous challenge of providing a satisfactorily interesting light helicopter role demonstration to a demanding crowd of spectators at the 2014 RAF Waddington Airshow. 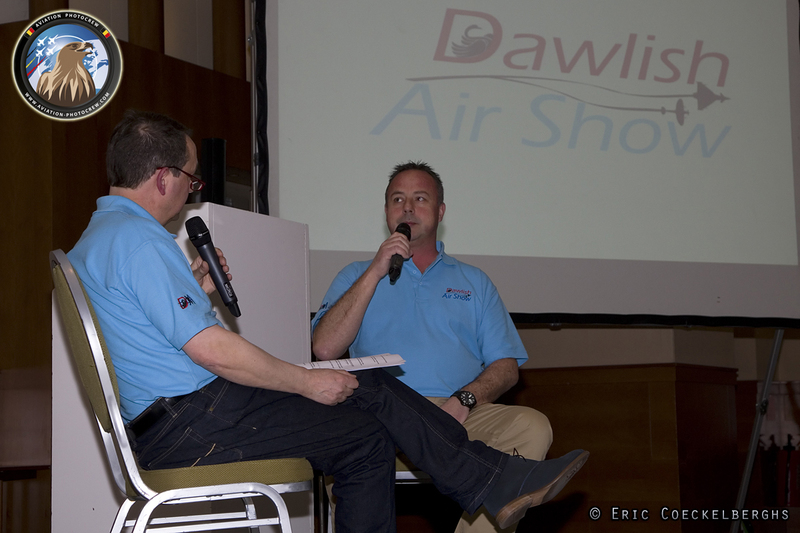 This was followed by Gale Rawitzer, who gave a US perspective on adding an evening show in addition to a daytime Airshow. 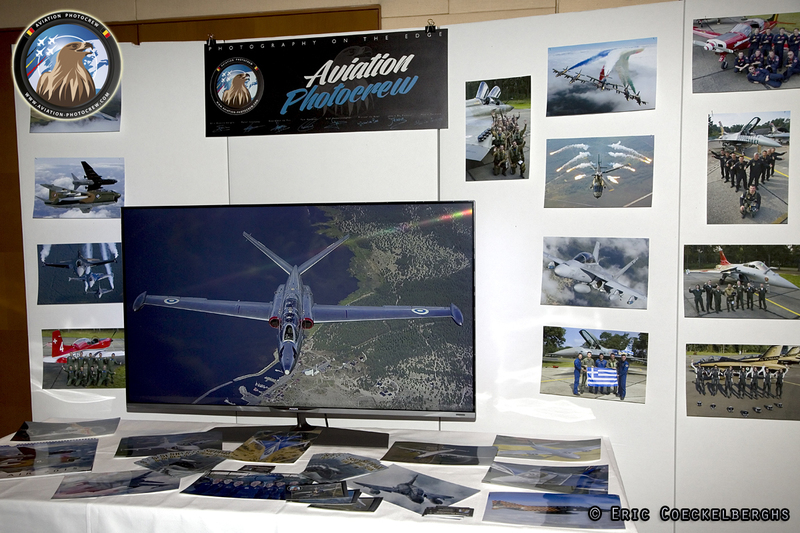 After a coffee break, Captain Hans Rahman of Stiftung Mayday gave a review of the 2014 incidents at Airshows, promoting safety. BADA Chairman, John Turner gave an update on the great works the British Air Display Association does, promoting the UK Airshow scene. 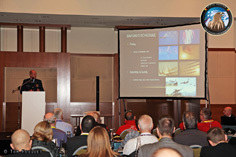 The last seminar of the morning was given by EAC Board Member, Joerg Thurnheer, about what the Swiss CAA looks for in a good Airshow. 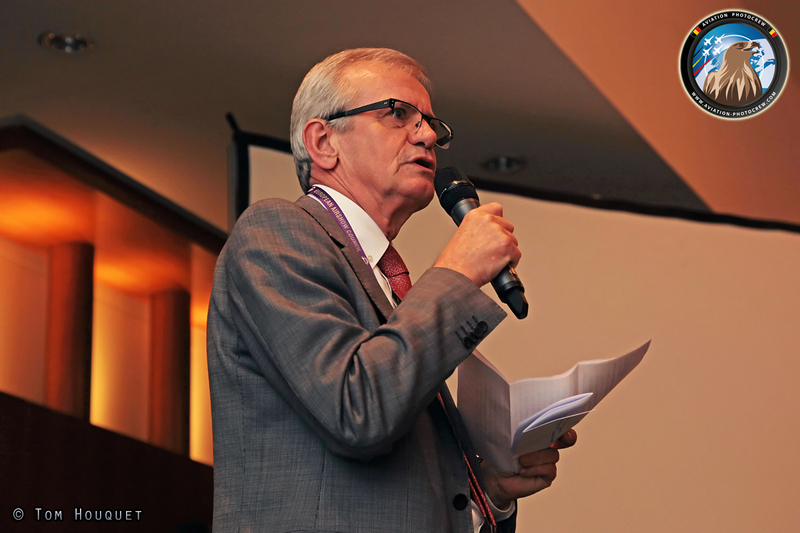 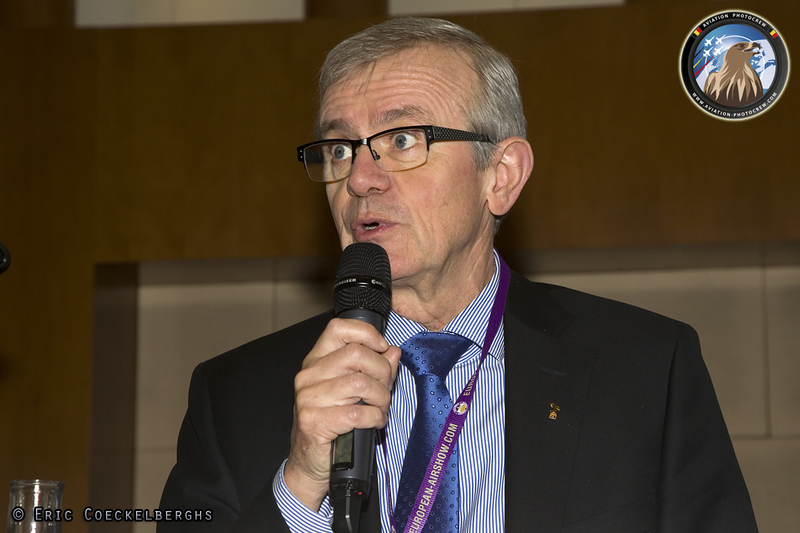 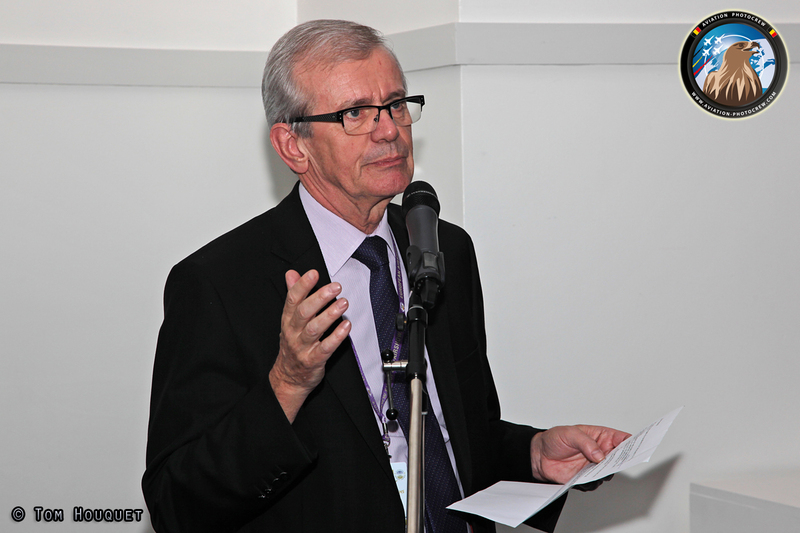 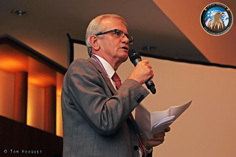 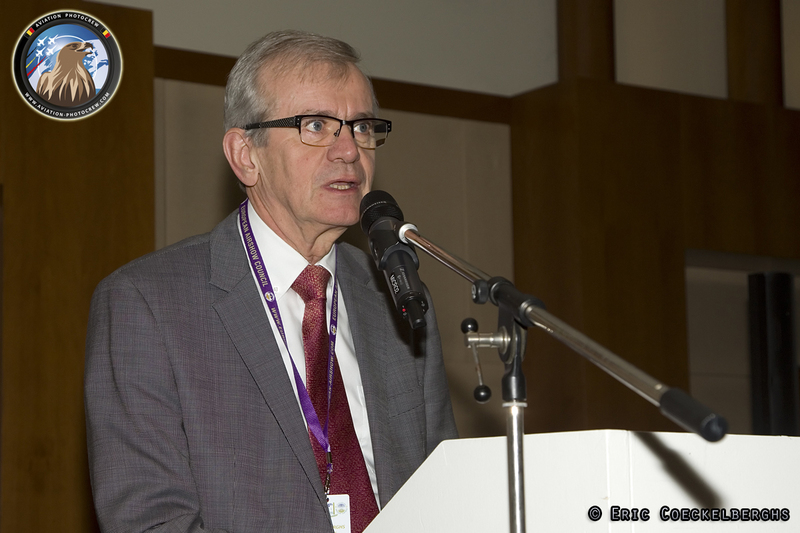 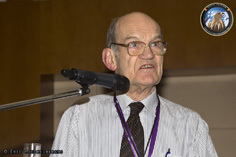 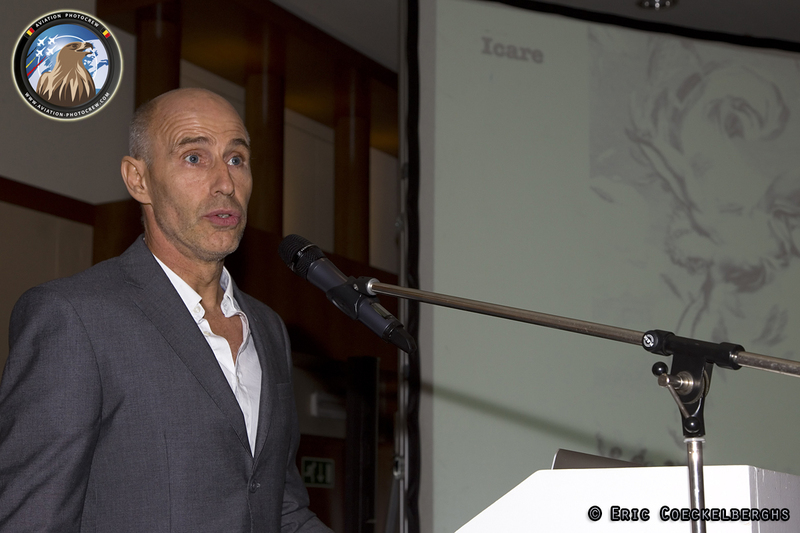 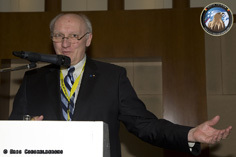 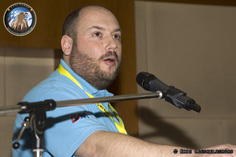 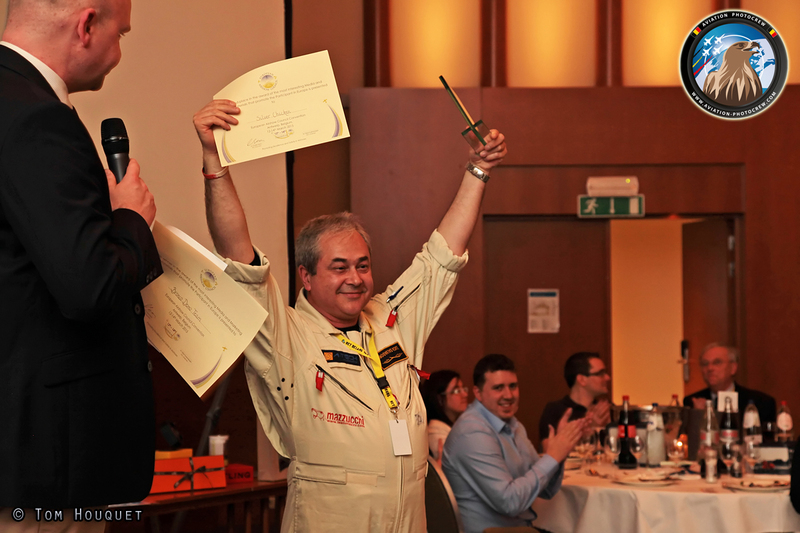 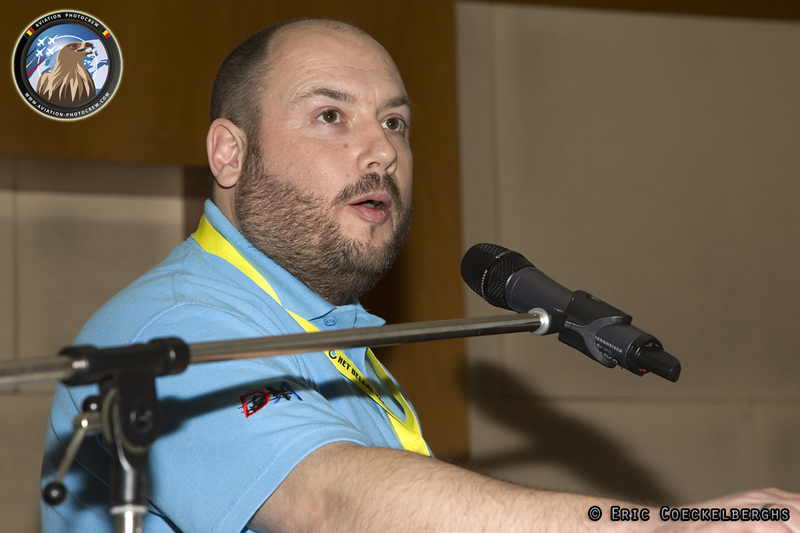 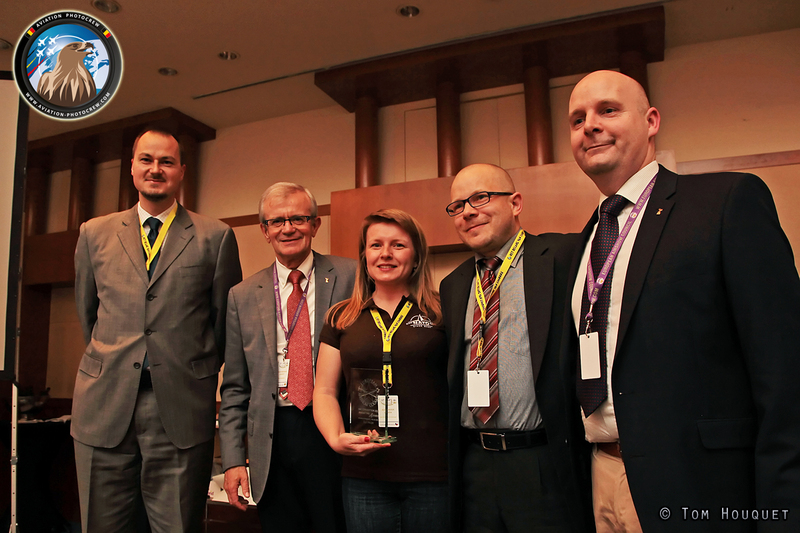 The 2015 edition of the EAC Convention was closed by Chairman Gilbert Buekenberghs, which announced the next year’s edition, which will take place in Malta.